The US is planning to withdraw 7,000 troops from Afghanistan. The American troops contribute to training and advising local forces fighting the Taliban and ISIS. 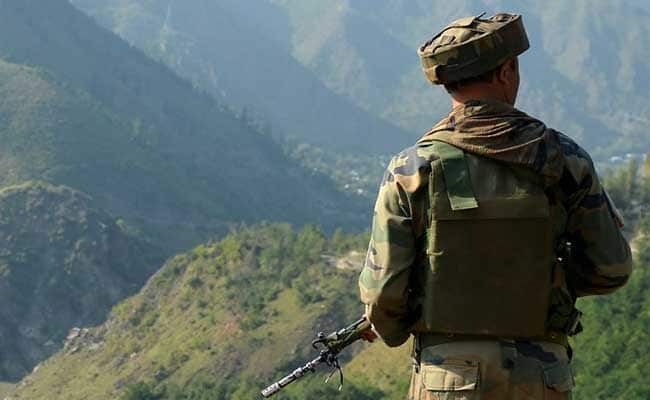 Asserting that India should adopt a "clear-cut roadmap" to tackle problems in Jammu and Kashmir, former Director General of Police K Rajendra Kumar cautioned that the US pulling out troops from Afghanistan will have implications in the Kashmir Valley, as terror outfits may feel emboldened. Mr Kumar was delivering the Lalitaditya Memorial Lecture in Pune, organised by Sarhad organisation. During his speech, he also said that there is a need to send a stern message to Pakistan for its continued support to terrorism. "A stern message needs to be sent to Pakistan in terms of retaliation. We need to make it more costly for Pakistan because today Pakistan is not feeling the pinch it should feel," Mr Kumar said. He said India should deal very strongly with Pakistan as far as terrorist training camps and terror launchpads are concerned. "Now USA is existing Afghanistan. It has its implications in Kashmir. It is a matter of time that we will be feeling its implications in the Valley. After the US withdrawal, the terrorists organisations would feel pumped up, emboldened," he said. Hence there is an urgent need for India to adopt a "clear-cut roadmap" to deal with terrorism in Jammu and Kashmir, he asserted. Underling Pakistan's active role and complete support to spreading terrorism in the Kashmir Valley, the former IPS officer said Islamabad is not only sponsoring terrorism but also sending its nationals in the garb of fighting jihad. "No matter which government is in power, Pakistan continues to sponsor terrorism in the Kashmir Valley," he highlighted. He pointed out that terror activity in Jammu and Kashmir is "tilting strongly towards Islamic extremism." "The Kashmir Valley has a rich history of Sufism, but over the years it has moved towards Wahabism," he said, adding that efforts should be made to take Jammu and Kashmir back to the path of peace and Sufism. Suggesting measures, he said the state needs stringent laws to deal with anti-national forces, and a concrete policy to encourage young men and women to give up terrorism and extremism. The surrender policy must ensure that the youth who give up terrorism are gainfully employed and discouraged from returning to the menace, he said. He also called for political outreach and empowerment of the civil society in the state. He said social media has played a destructive role in inciting violence and playing with the sentiments of the youth.